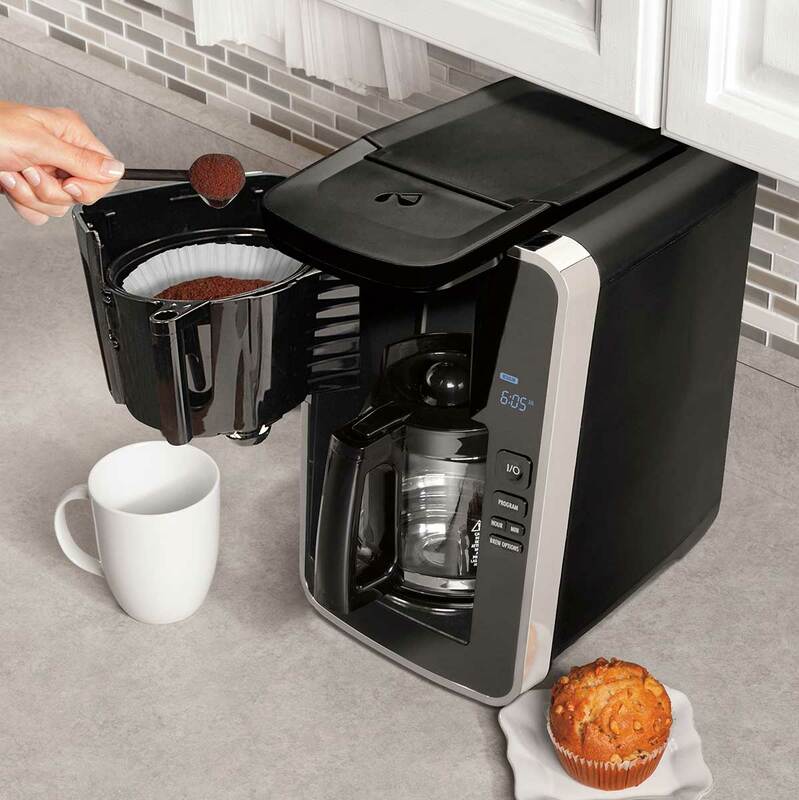 Finally, a coffee maker that can stay tucked under a cabinet when in use. 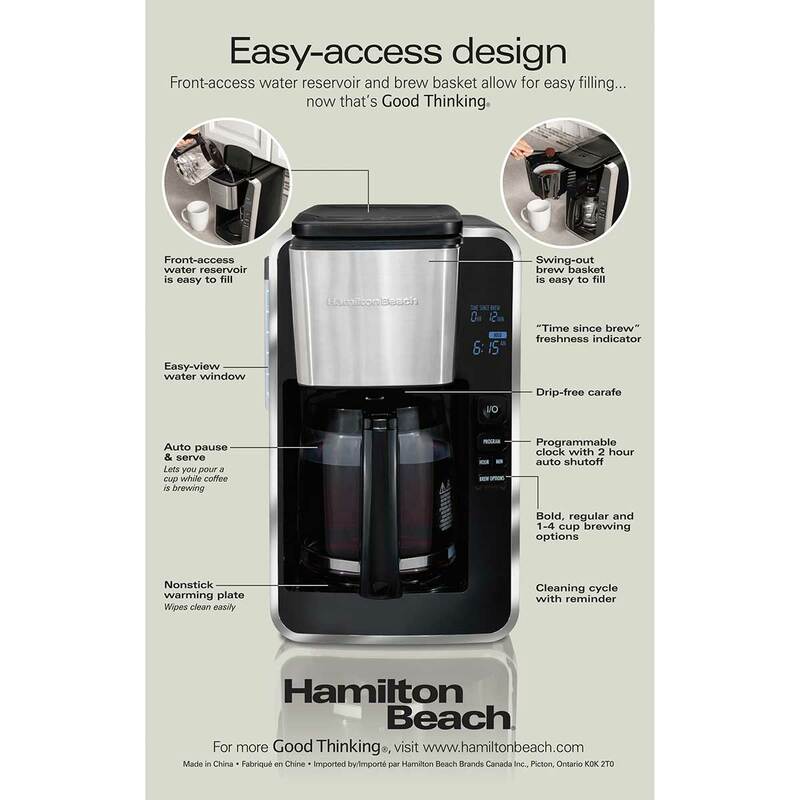 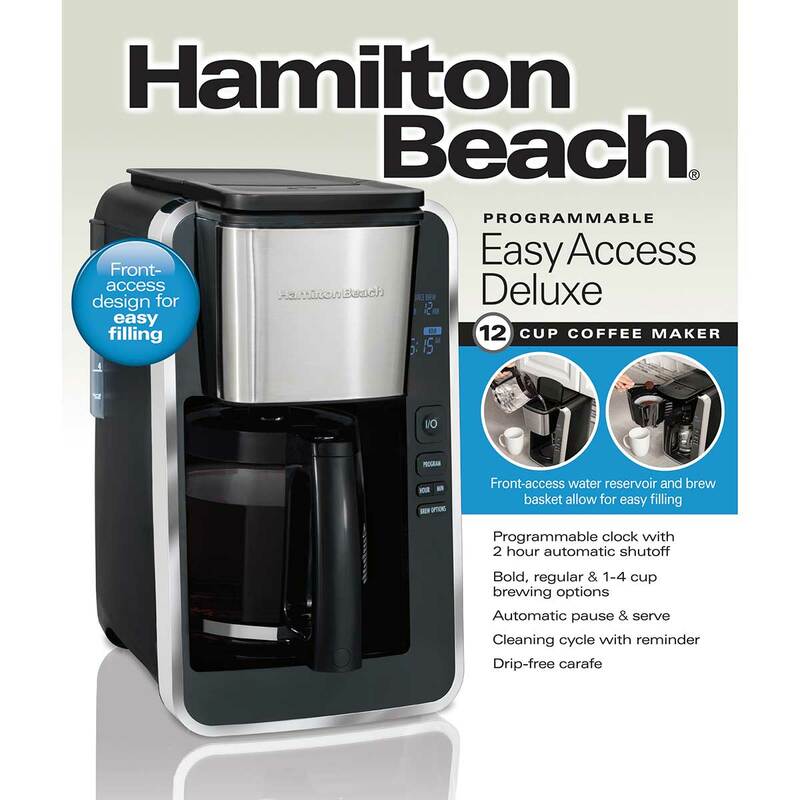 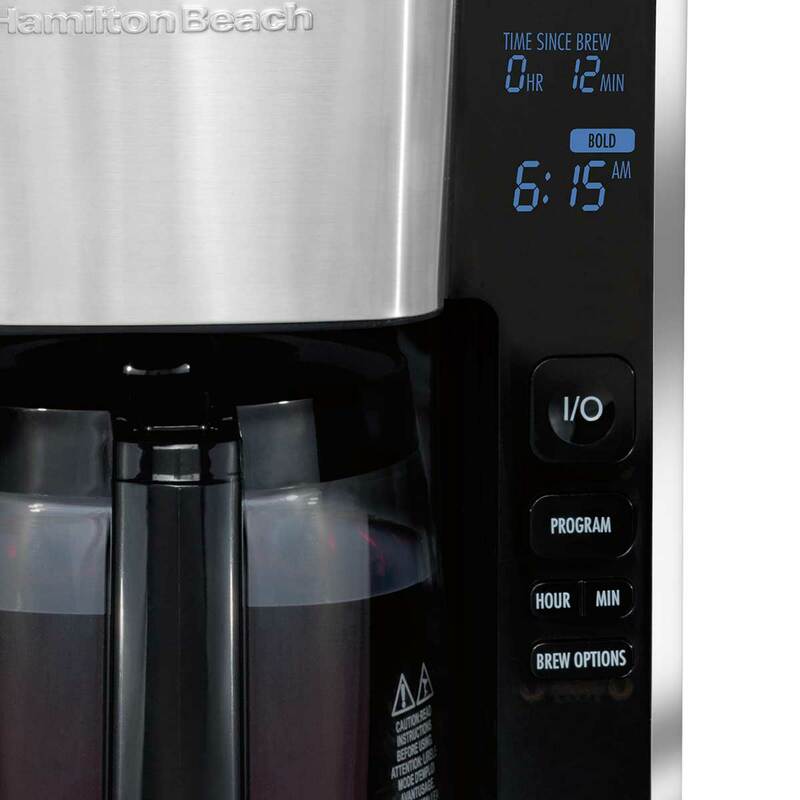 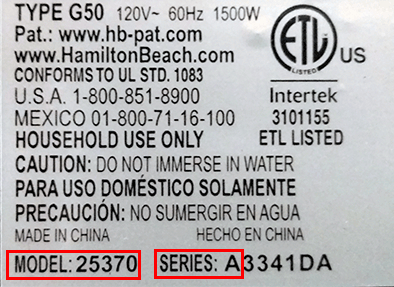 With front access to the water reservoir and brew basket, the Hamilton Beach® Programmable Easy Access Deluxe Coffee Maker puts an end to the back and forth maneuvering of a countertop coffee maker. 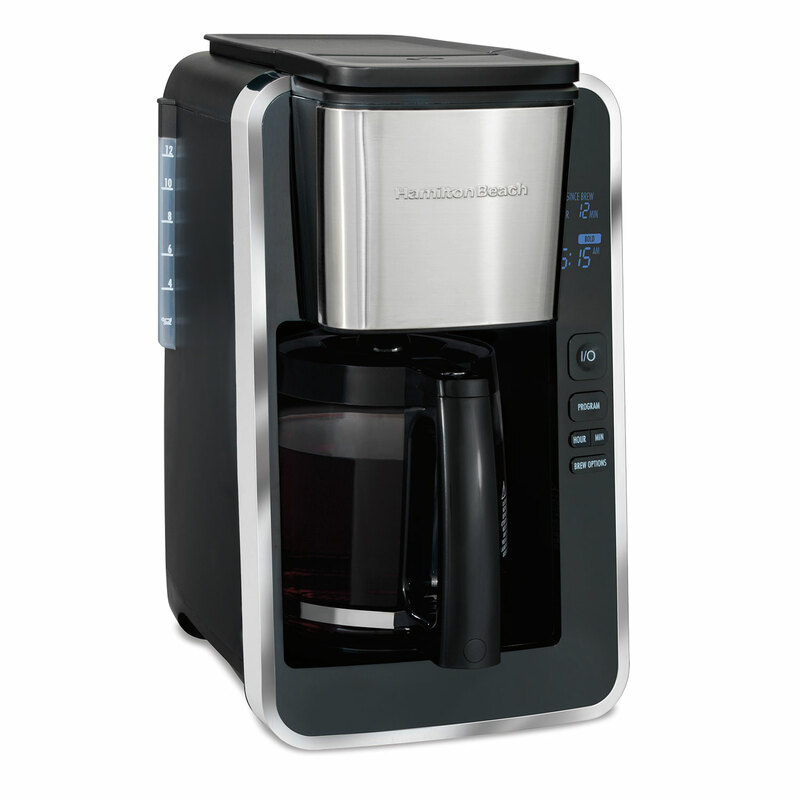 Now you can fill the water tank from the front of the machine, instead of the back. 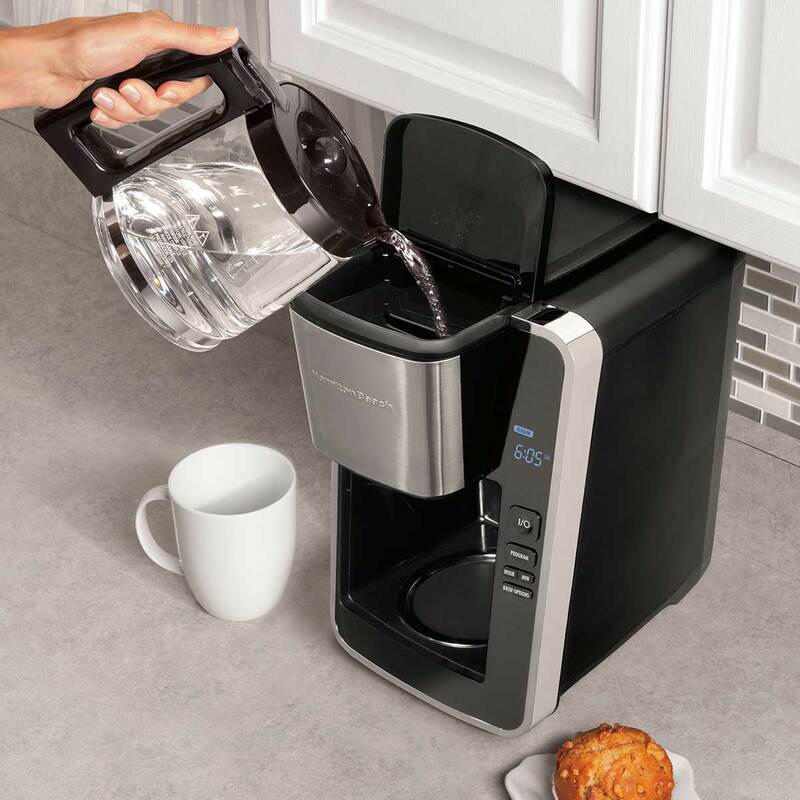 The swing-out brew basket is easier to fill and keep clean than a top-load basket. 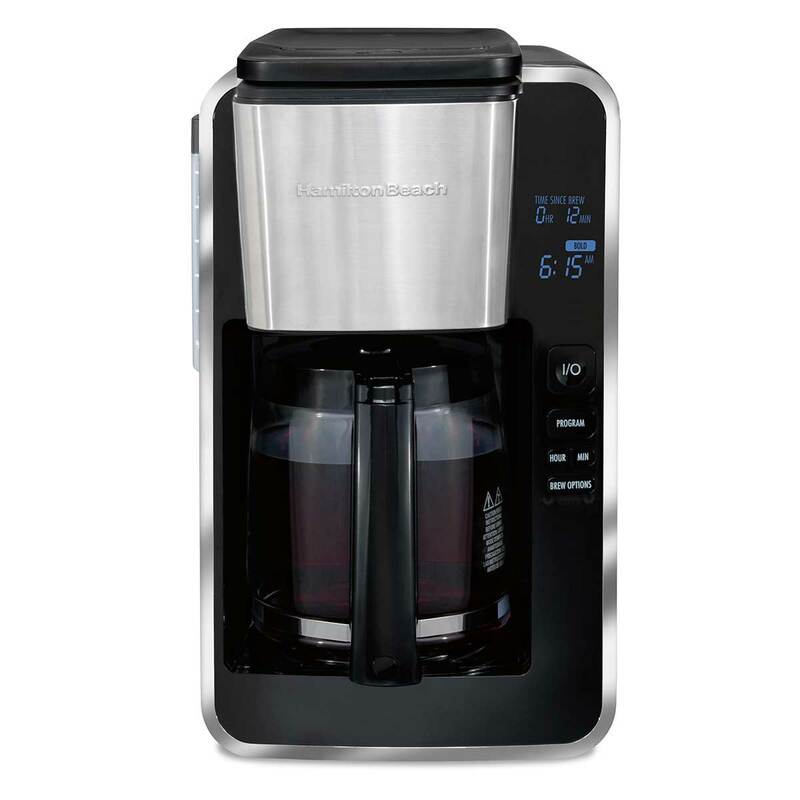 Plus with an automatic, optional cleaning cycle reminder, you can ensure your machine is brewing the best tasting coffee. 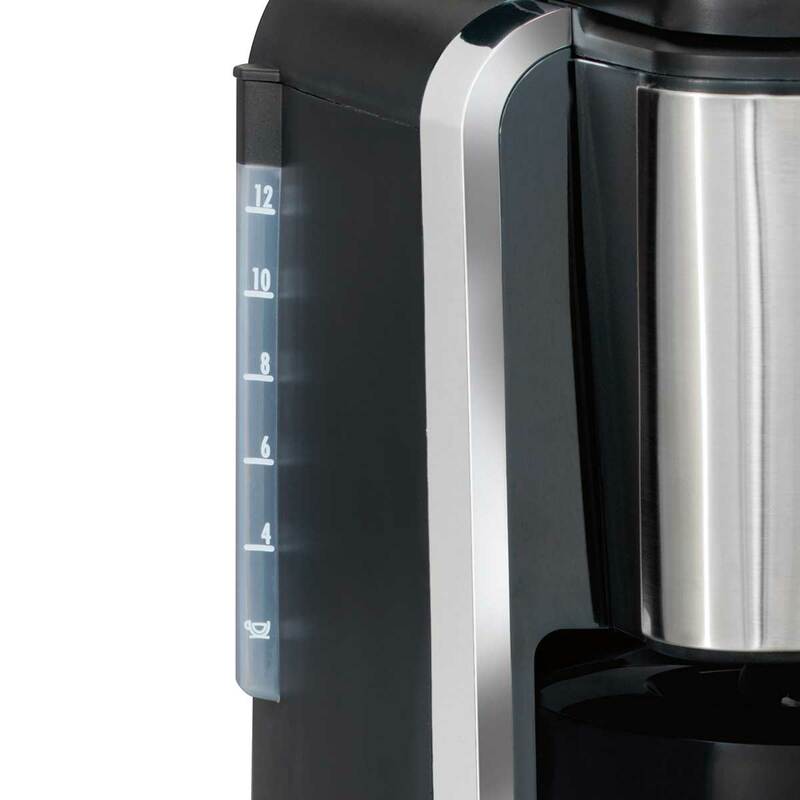 With its compact design, this coffee maker takes up less space but still makes up to 12 cups.